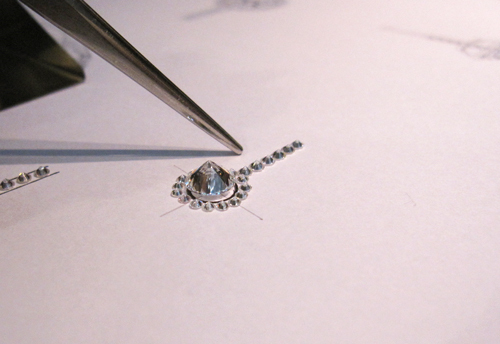 One of the important parts of custom designing, is getting the Diamond sizes and proportions right. Diamond accents are ‘supporting actors’ so they should enhance, but not over- shine the star of the show – the centrepiece Diamond. 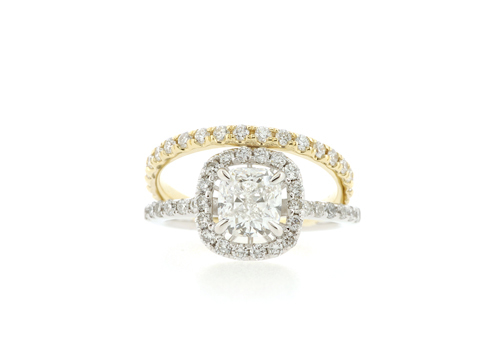 Finding the right proportion between the centrepiece Diamond, surrounding stones and the Diamonds on the band. 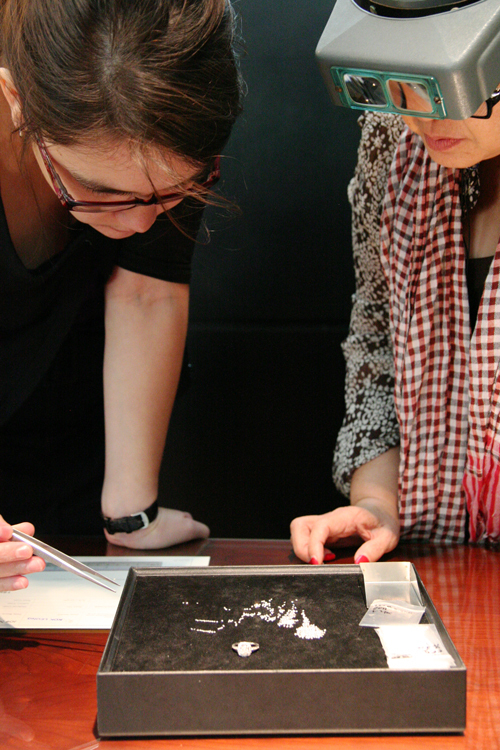 When we have decided on the right size for the design, we select the Diamonds. An example of a stunning result! 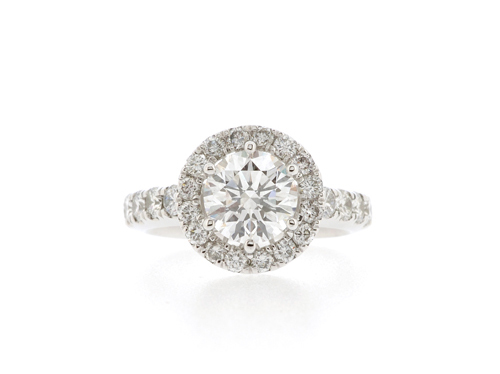 Large centrepiece can look even bigger with the right selection of surrounding Diamonds. Another reason to custom make is that you can make the wedding or anniversary ring match the size of Diamonds and band exactly. As you can see, the size of the surrounding Diamonds, affect the design more than the size of the centrepiece Diamond does. Just as in Hollywood, it is often the supporting actors, who make a good film great.